Middleburgh – Richard “Dusty” Morrell, Jr., 53, of Middleburgh and most recently LaGrange, GA, died Thursday, February 7, 2019 from injuries sustained in an automobile accident in Opelika, AL. Dusty was born on March 9, 1965 in Stamford. 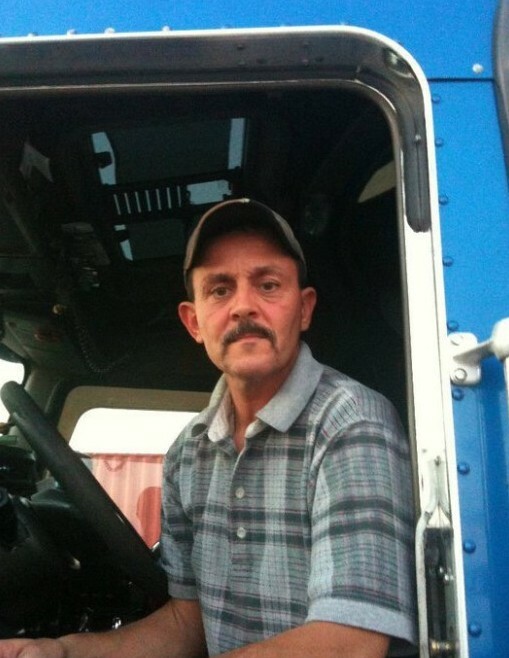 He attended and graduated from the former Cobleskill High School in 1984 and after a few years fulfilled his lifelong dream of driving trucks. He attended Chauffeur’s Training School, earned his CDL and hit the highway. Dusty’s passion was driving and seeing the country and while most recently working for Auction Way in LaGrange, the draw of the highway, the aroma of Diesel and traveling with his faithful companion, “Rosie,” never left his mind or his heart. He also loved Western music, dancing, horses and he was especially looking forward to seeing his grandchildren. Born silently in 2017, Dusty’s granddaughter, Avery Morrell, patiently waited and now has her grandpa’s arms to cradle her in Heaven. Dusty’s family also includes his wife: Grace Lohnes Morrell; his daughter: Nicole (Stephen) Smith; his son: Brandon (Kendall) Morrell; his son by love: Andrew Fagergren and his beloved grandchildren: Clark Eric Dusty Smith and soon to arrive Blake Morrell, all of Middleburgh; his mother: Erma Clapper of Cobleskill; his father: Richard E. Morrell, Sr. of Fonda; his siblings: Pam Snyder of Schoharie, Robin (David) Hotaling of Warrenton, VA, Heidi Morrell of Fonda, Sylvia Morrell of Charleston, SC, James Morrell of Schoharie, Robert Morrell of Howes Cave and many other family members and friends. Dusty’s family thanks you for remembering them through this time and a memorial gathering will be held, at a date and time to be announced. Coltrain Funeral Home, LLC, is honored to be caring for Dusty and his family.